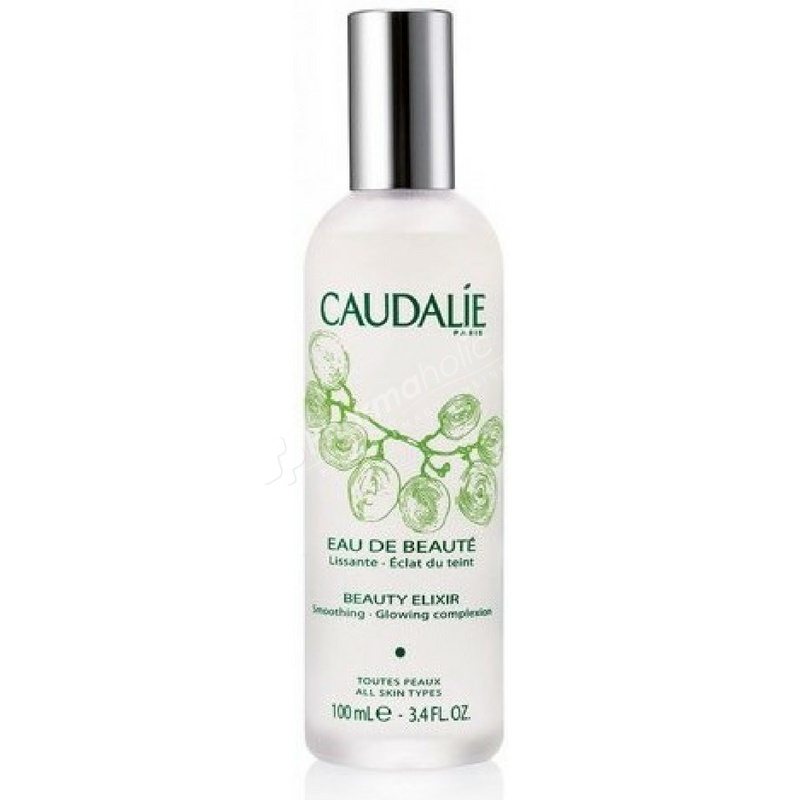 Caudalie Beauty Elixir is an antioxidant-rich spray that produces smooth, clear, nourished skin. Designed to minimize the appearance of enlarged pores, it soothes and hydrates stressed, dry skin using myrrh, balm mint, and oil of rosemary. Inspired by the famous elixir of youth of the Queen Isabel of Hungary, this treatment smoothens traits, closes pores and provides an intense glow to the skin. This water awakens the skin in the morning and her reinvigorates the evening before going to a social event. Paraben free, no phenoxyethanol, no dyes, no oils mineral... Against animal testing. 100% Natural scent. Shake before use. Avoid eyes. Vaporize on the face before the cream and anytime of the day. Active Ingredients: Raisin, fleur d’oranger, rose, mélisse bio, romarin.